Diaxinol®’s unique and effective formulation contains five ingredients provided at targeted doses for maximum efficacy. Maintaining healthy blood sugar (glucose) levels can often pose a challenge because, on average, Americans spend 21 hours a day being sedentary. Additionally, we consume foods that are highly processed, refined, and contain excessive levels of sugar while offering very little in the way of micronutrients and fiber. Combining these lifestyle practices with genetic predisposition and high stress patterns make it very difficult to maintain adequate blood sugar levels. Healthy blood sugar regulation is a complex process that requires a number of metabolic factors working at optimal capacity. Part of this process includes a region in the pancreas called the Islets of Langerhans. This region has various types of cells involved in regulating blood sugar levels. If blood glucose levels fall (which often occurs due to stress or lack of food intake for an extended period of time), the alpha cells of this region secrete glucagon, a hormone that triggers the release of stored glucose (glycogen) from the liver and skeletal muscles. Conversely, when blood sugar levels are elevated, beta cells in the Islets of Langerhans secrete the hormone insulin. Insulin causes liver cells, muscle cells and fat cells to take up glucose from the bloodstream. The delicate balance of blood sugar levels is crucial for regulating the body’s production of energy. Micronutrients such as chromium and biotin are required to support enzymatic reactions and cellular signaling systems that maintain the body’s homeostasis. 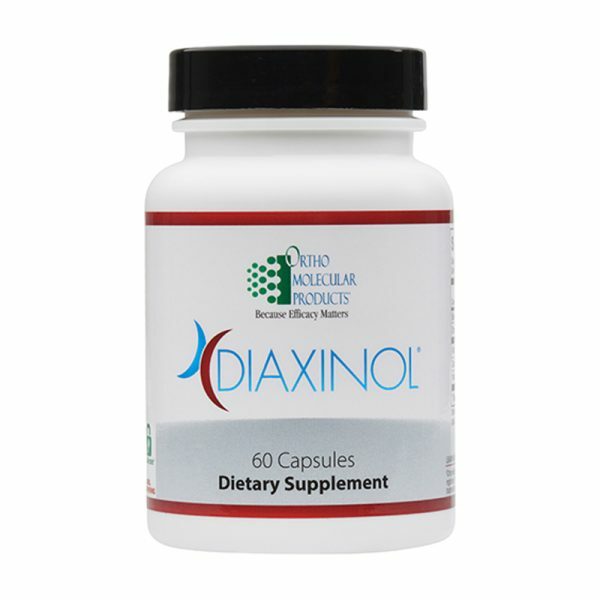 Diaxinol® is a natural and synergistic formula for maintaining balanced blood sugar. Through enhanced signaling at the cellular level, Diaxinol®’s blend of natural extracts and vitamins support healthy blood glucose levels. Alpha lipoic acid (ALA) is a potent antioxidant that supports insulin regulation, glucose utilization, and cellular metabolism. 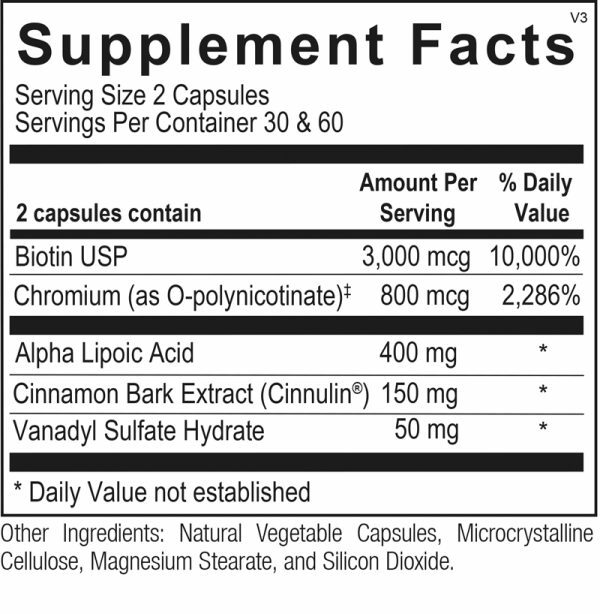 Cinnulin®, a patented 20:1 aqueous cinnamon extract, supports both balanced glucose metabolism and healthy blood lipid levels. Chromium is added to support glucose tolerance factor (GTF) production, a critical component in cellular uptake of glucose.